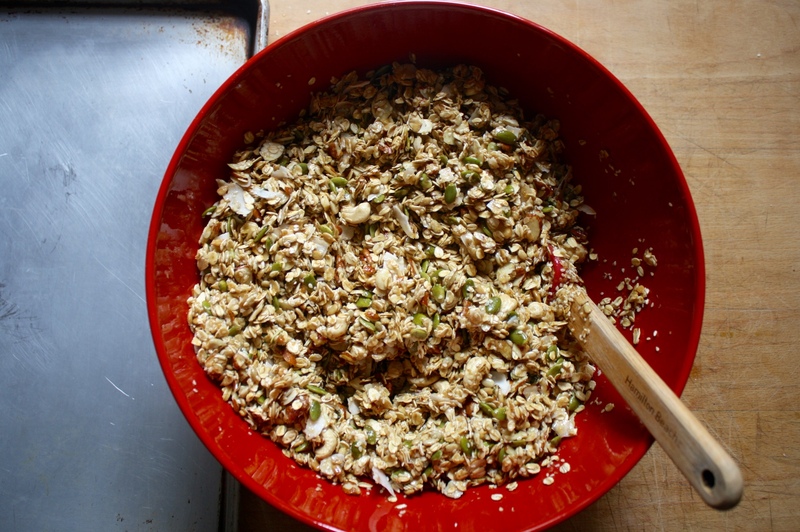 My Aunt Judy makes the most simple and amazing granola ever. It’s the same recipe she’s been using since the 70’s, and she always has it on hand at her house. She was my birth doula and came to stay with us for the last few weeks of my pregnancy, and the whole time she was with us (which ended up being about a month) she kept our supply stocked. 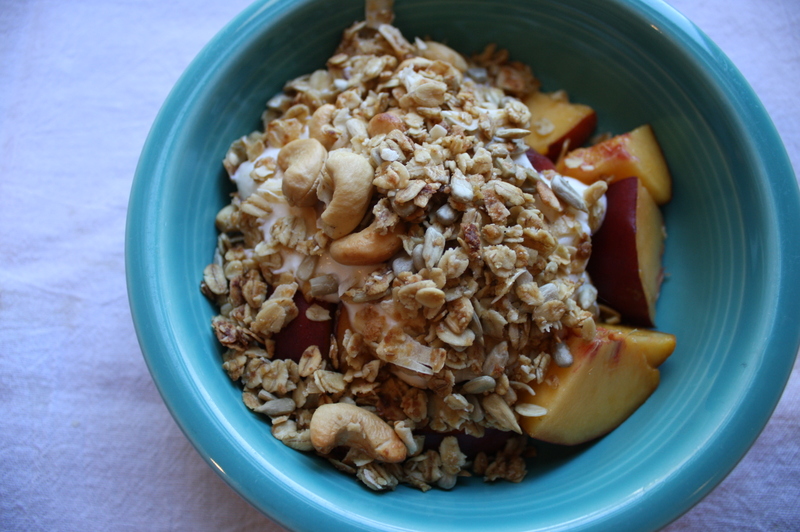 It was so great to have every morning, with fresh fruit and yogurt! 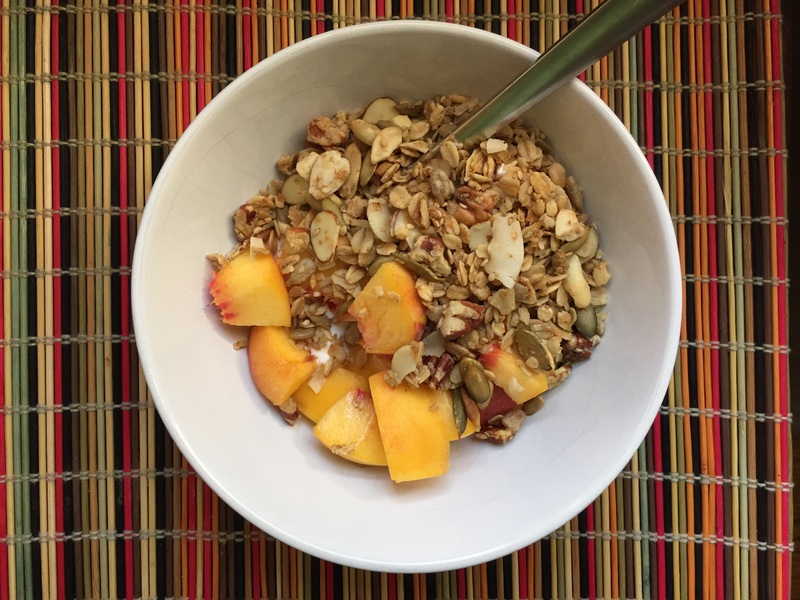 It’s gotten so I can’t even eat store-bought granola anymore, I’ve become such a granola snob. 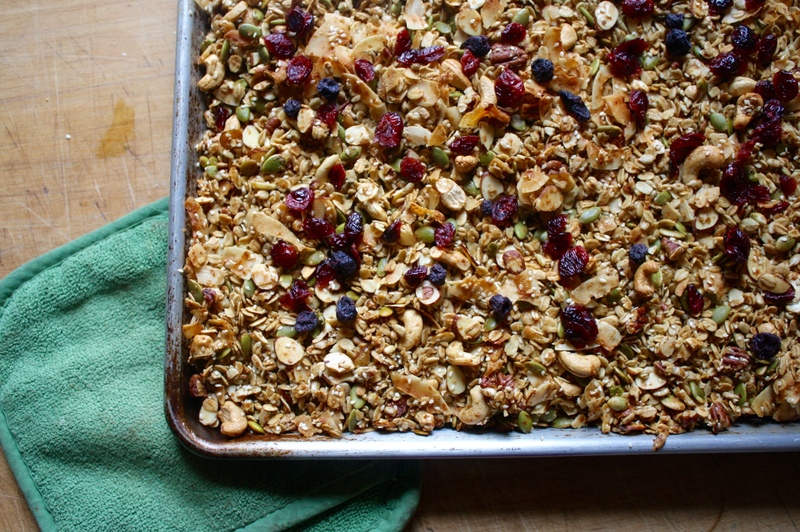 I try to keep it up, and make a batch as often as possible, but especially in the summer when fruit is in season and tastes oh-so-yummy with this salty sweet crunchy goodness. Combine dry ingredients in a large bowl, minus the salt. Mix together honey, water, oil, salt and maple syrup. Pour over cereal and mix well. Bake in large jellyroll pan at 300 F for 40 minutes, stirring every 10 minutes, until golden brown. Let cool in the pan, then pour into an airtight container.